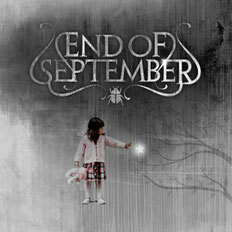 Swedish female fronted metal band End Of September releases the alf-titled debut album from Ulterium Records on May 11th in Europe and 22nd in the USA. The band was formed by Erik Tordsson (on Guitars/Vocals) in 2009 and is definitely one of the most promising bands from Scandinavia at the moment. This young band shows with their debut album that they know how to create fantastic, memorable songs, and perform them to perfection. They have also been able to successfully create a mix between melodic metal and more modern metal that not many bands have. Copyright © 2011-2019 BREATH-FRESHER. All Rights Reserved.